Earlier this month we launched our new vintage and antiques website and we are gradually transferring our stock over to the new site. The new website is faster and easier to navigate and more mobile friendly than this one. All new stock is being added to the new site. We hope you like the new site and find it easy to use. Its been a busy summer for us scouring antiques fairs and auctions to find lots of gorgeous things to list on the site for you. 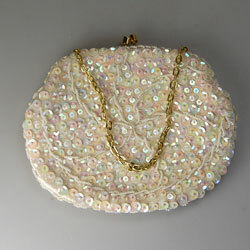 We have some wonderful vintage handbags to list. 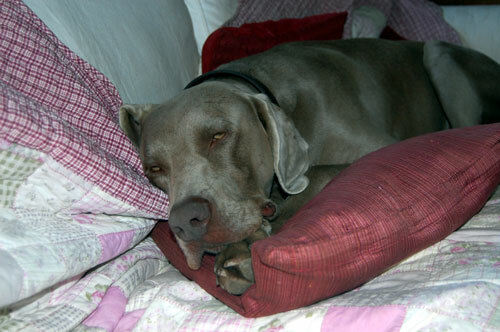 We have started to list them this weekend and will be listing more now the nights are drawing in. Here are the links to view them happy browsing. If you would like more photos of a particular handbag just e-mail us. Unfortunately the website only allows us to post one picture per item but we are planning a new website this winter which will allow multiple graphics. It will be a great project for the dark nights. We love vintage fairs & antiques fairs or a good car boot sale. 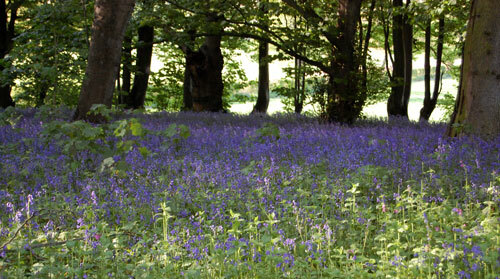 Luckily we are spoilt for choice in Norfolk as we have lots to look forward to. 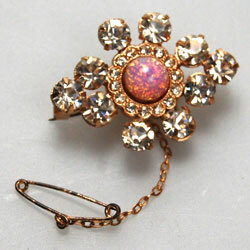 Vintage Lover Fair at Mannington Hall on Sunday 13th May. Lovely atmosphere and a great venue in North Norfolk. What more could we ask for and one of our favourites. 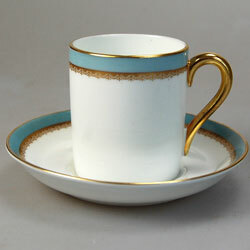 Colclough bone china is probably one of the most popular ranges of vintage china in the UK and with good reason. 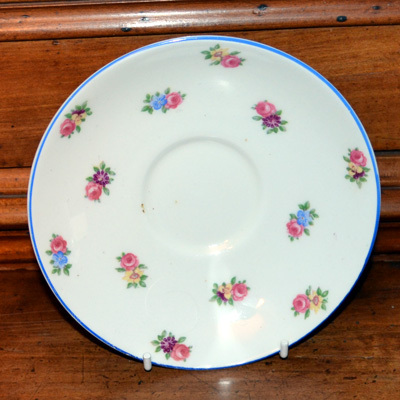 There are lots of patterns to choose from and the quality of the china is excellent. It was made for many years which means there is lots of it about , so that if you break a piece you should be able to replace it easily. 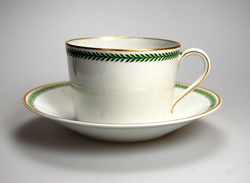 The classic Coclough afternoon tea set would include a teapot, teacups with saucers and small cake plates, and a larger plate for serving sandwiches or cakes and possibly a cake stand. If you want to start to collect Colclough, then the first thing to decide on is the pattern. 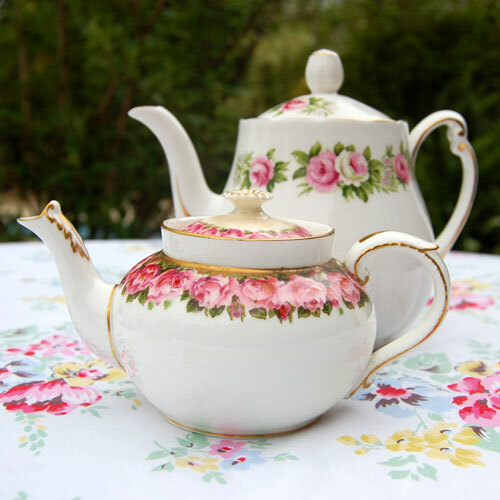 You can mix and match the patterns if you wish but the classic the Colcough teaset would all match. Big event in the The North Norfolk calender. Dress up in your best 1940's outfit and ride the Poppy line from High Kelling to Sheringham. Vintage stalls at the station at Hgh Kelling. Lots of vintage and antique shops and coffee shops and cafes in Holt or just come along to experience the feel of the 1940's. 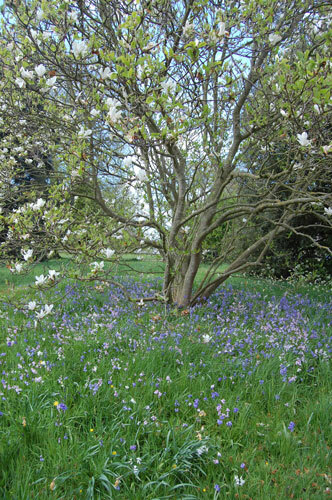 Large antique fair in wonderful setting of this historic stately home on the North Norfolk coast. 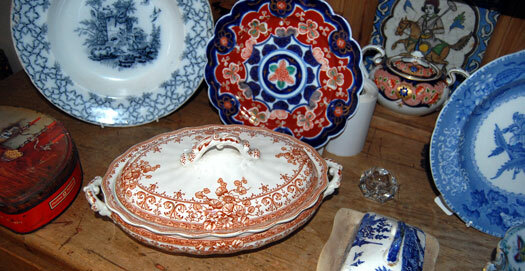 Large antiques fair at the Norfolk showground. Trade entry on first day 7am-10am £6 (at the gate only). Little Vintage Lover Fair at Blakeney village hall. Saturday November 11th 2017 at St Andrew Church Hall in centre of Norwich. 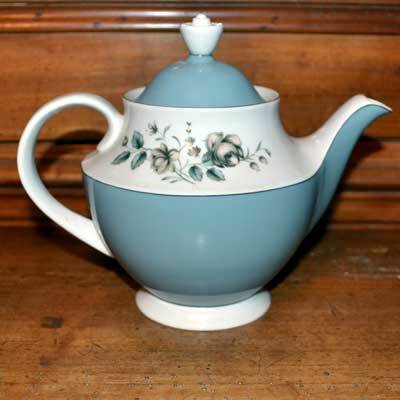 We have lots of vintage and antique china teapots to list on the website this month inlcuing this vintage Johnson Brothers teapot. You can't beat a car boot or an antiques fair for a bit of treasure hunrting so here are some dates for your diary if you're in Norfolk. Stately Car Boot Sale April 30, 2017 10:00 am to 3:30 pm at at Sennowe Park, Guist, NR20 5PB. Vintage Lover Fair at Mannington Hall on Sunday 7th May. Perfect fopr a prom or a wedding. 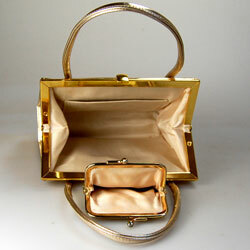 Would also make lovely gift for a collector of vintage handbags as they are both in excellent condition. You can't beat an antiques fair, so here are some dates for your diary if you're in Norfolk. 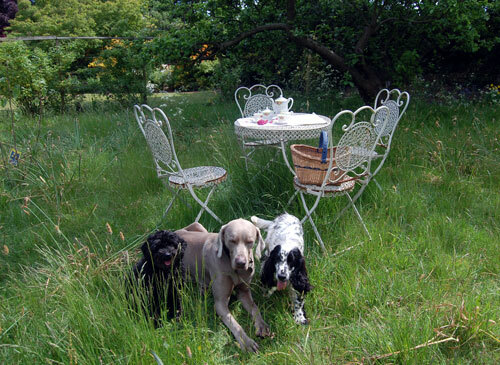 Vintage Lover Fair at Mannington Hall, North Norfolk on Sunday 7th May. 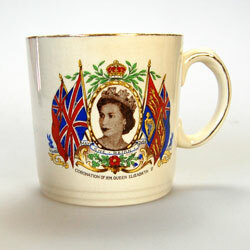 We have a selection of 1953 Coronation memorabilia & collectables available from just £8 for a coronation mug. 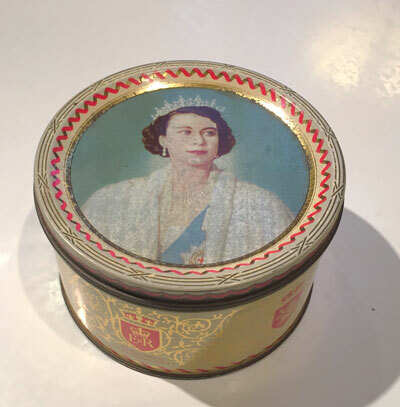 We found this lovely little vintage 1953 Queen Elizabeth II Coronation souvenir sweet tin on a vintiqueing trip to Holt last weekend. 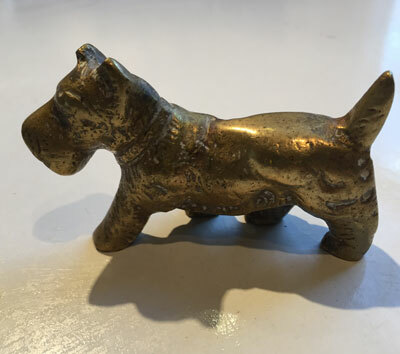 This would make a lovely gift for a Scottie dog lover. 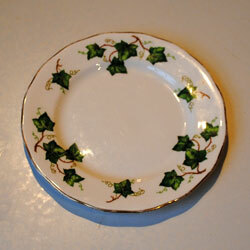 We have a set of four of these pretty Colclough Hedgerow pattern bone china cake or sandwich serving plates in stock. 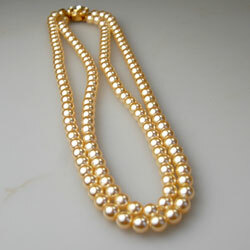 They would be ideal for a vintage themed afternoon tea or birthday party. 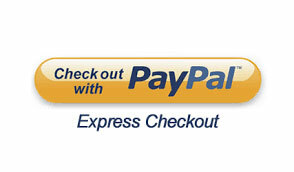 We have recently added the option to checkout with Paypal Express Checkout, which makes the checkout process much quicker, if you already have a Paypal account. If you don't, you can still checkout and pay with a credit or debit card, using Worldpay. Had a fabulous day out at the Norfolk antiques fair on Saturday. Weather was very kind to all the stall holders as it was warm and sunny and there was a good turnout. Found 3 more of these stunning Masons ironstone mandarin pattern china breakfast cups which are the perfect size for a cappucinio or latte or a very large cup of tea. 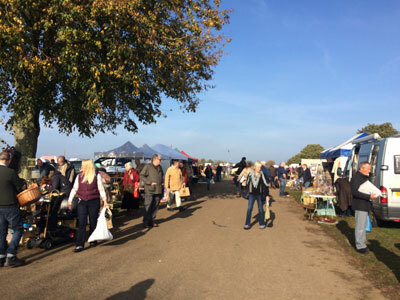 This month we are looking forward to attending the antique and collectors fair at the Norfolk showground on Saturday 29th October and Sunday 30th October. 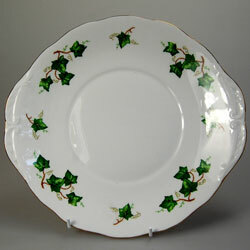 It is usually a good day out for antique and vintage hunters and being pre-christmas is a very good buying opportunity. Hopefully the fine weather that we have been having will hold, as many of the stalls are outside. The show opens at 7am on the Saturday for trade buyers. Entry fee is £6 between 7am and 10am. With over 400 stalls both inside and out it is usually well worth a visit. The fair is open to the public Sat 10am-5pm entry is £5, Sun 9am-4pm entry is £5. if you pre-order your entry ticket online you can get in for just £4 (excludes early trade entry ) The showground is well sign posted from most of the main roads around Norwich. 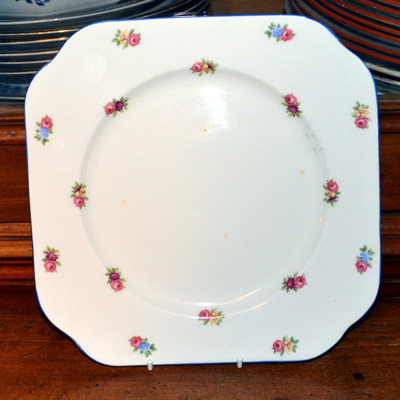 Its a wet day in Norfolk , so great for listing this gorgeous collection of vintage Royal Worcester Valencia pattern bone china for sale. 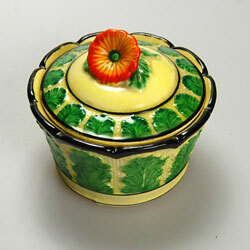 including this gorgeous lidded tureen. This pattern is now discontinued. 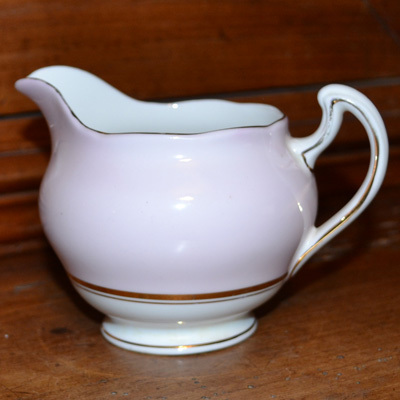 It was originally manufactured by Royal Worcester between 1953 - 1965. 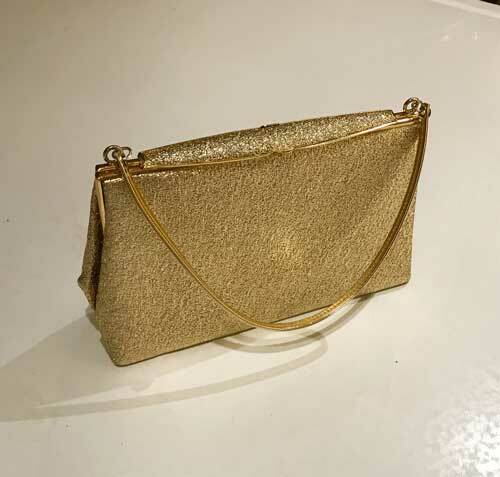 This month we have lots of gorgeous vintage handbags, purses and evening bags to add to the website. 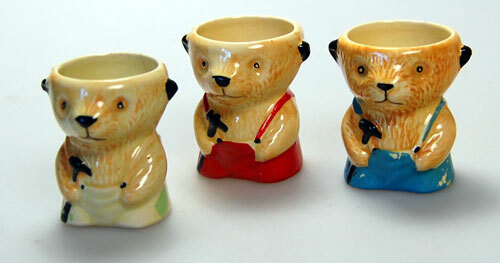 They are from my private collection, and we will be adding them to the website over the coming weeks. 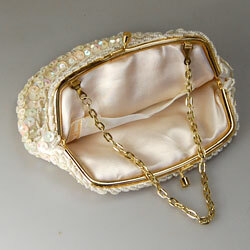 They are perfect for a wedding, prom or as a special occaison bag and I cant wait to get them photographed and listed. To celebrate the Queens 90th birthday we have lots of gorgeous vintage coronation mugs for sale this month and we will be adding them to the website over the coming weeks. They make an eye catching display or are sturdy enough for every day use, as long as you do not put them through a dishwasher. This is usually a very good antiques fair and well worth attending as it is on the Easter weekend. Sunday 27th March and Monday 28th (bank holiday ) Tickets can be pre purchased or bought on the day. We usually buy our tickets on the day, as about half of the stalls on the fair are outside, and so weather dependent. We don't like walking around in the rain. Hoping the sun shines. 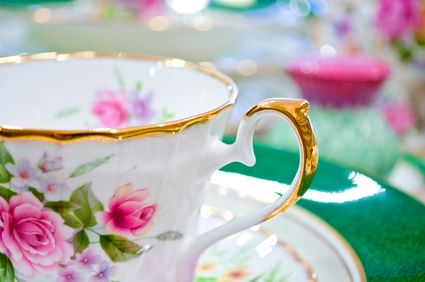 We love vintage themed weddings and are always happy to supply vintage china, cutlery, candlesticks, cake plates, glasses and props for your vintage themed wedding. We also have an extensive stock of gorgeous vintage & antique items that would make lovely wedding gifts for a vintage enthusiast. 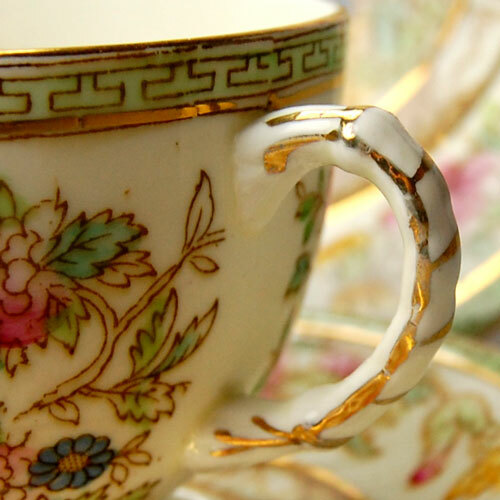 This year vintage china is the item every vintage enthusiast should not be without. 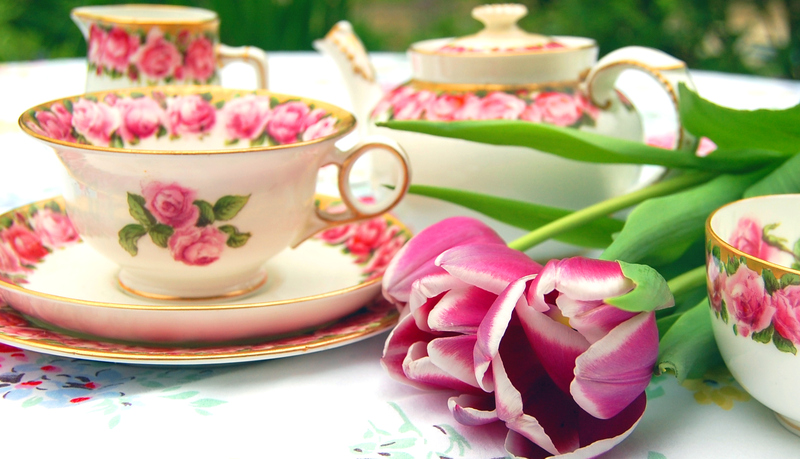 We simply adore vintage china and have a large selection of vintage and antique china cups, saucers, tea plates , cake plates & teapots for you to choose from. Mix and match them to have a lovely vintage tea party or create an eyecatching display. 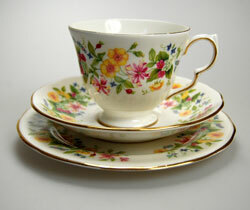 Mix and match from our trios of vintage cups, saucers & tea plates and throw your very own vintage tea party. 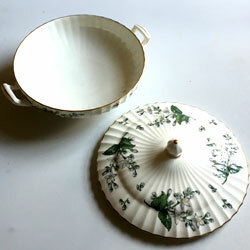 If you want to really push the vintage boat out use leaf tea in your viintage tea caddy and get a vintage tea strainer. View our current selection of vintage and antique country farmhouse furniture lines available to buy online including antique English & French furniture, vintage china & crockery, vintage glasses, vintage kitchenalia, antique & vintage pictures, antique rugs, vintage and antique brass wares, antique & vintage mirrors & books. 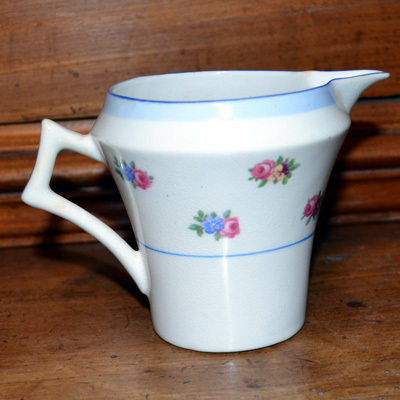 New in stock this month we have lots of this pretty vintage Linden pattern 8162 Colclough bone china to buy online including teapot, teacups & saucers, square side plates, milk jug , sugar bowl, and a cake or sandwich plate. Dates from circa 1960's -1970's. Made in England at Ridgeway Potteries, Colclough Works, Staffordshire. Pretty leaf pattern in blues and brown with gilding around edges. 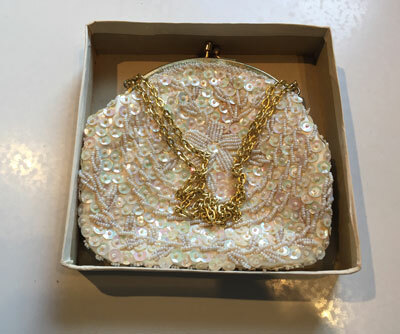 We have an extensive amount of vintage & antique jewellery new in stock this month including pearls, diamante necklaces, brooches, bracelstes, rings, watches and lots more besides. 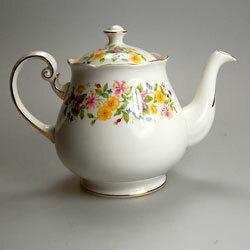 We have lots of vintage Colcough fine bone china new in stock this month. 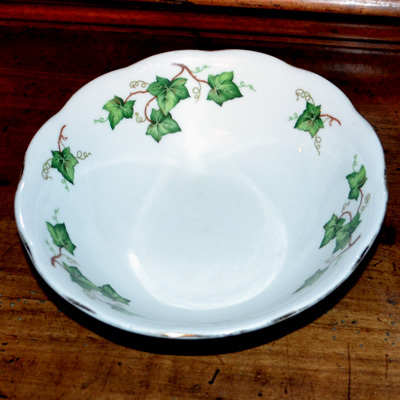 A particular favourite with buyers this month is the Colclough Ivy Leaf pattern. We hope that you enjoying browsing. 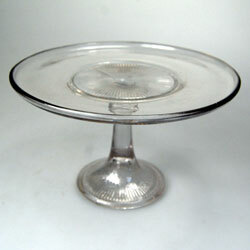 Just wanted to let you know we have lots of vintage glass & china just added to the website. 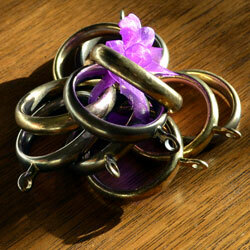 There is also lots of brass, vintage jewellery, pottery, collectables and silver plate also recently added. The sun shone and the rain kept away so all the stall holders and the visitors to the show where able to enjoy the day. Bargain hunt where filming and the atmosphere was buzzing. We had a great day out and managed to source lots of wonderful new vintage and antique items for our online store and for the antiques centre. Highlight of the day for me was finding a wonderful pair of antique curtain tie backs and some lovely vintage Sadler teapots. 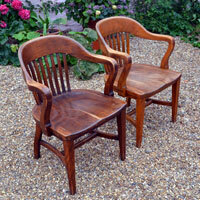 We have these lovely heavy stick back carver chairs in stock this month. The weather has taken a bit of a turn on the chilly side this month, so we also have some lovely antique fireside sets and coal scuttles also new in stock. Just to let you know we have today put our website into a responsive template so we are mobile friendly.There may be a few glitches with the new format so please e-mail us if you have any difficulties ordering. We will also be experimenting with the site colours & options over the coming days, and weeks so please bear with us. We have had some lovely new china in stcok recently including this lovely staffordshire afternoon tea set-details shown above. We have an extensive amount of vintage & antique furniture on sale including a large amount of shabby chic hand painted furniture, a large pine farmhouse table, a couple of Victorian antique pine farmhouse dressers, a lovely Victorian tiled marble topped washstand ideal for a cottage, a large selection of kitchen and dining room chairs, freestanding towel rails, a choice of three antique piano stools, a victorian card table, victorian kitchen cupboards and lots more besides. We would like to wish all of you a very happy new year & thank you for your custom in 2014. 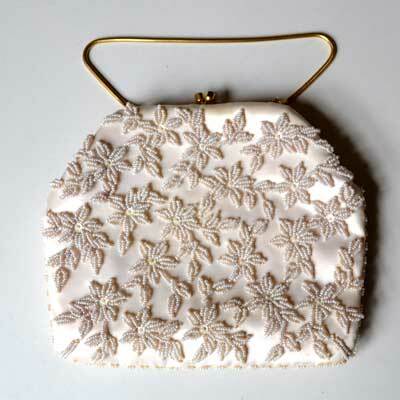 Its been a very exciting week with some gorgeous new vintage handbags coming into stock. They are such a pleasure to photograph. We hope that you enjoy them. 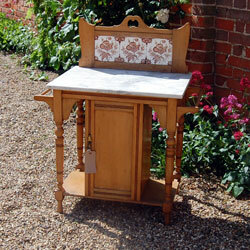 We have this very pretty all original marble topped Victorian pine washstand for sale with original tiled back. 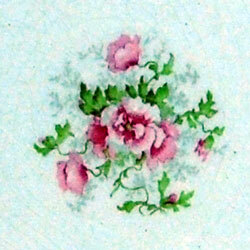 It is very sweet and would make a lovely addition to a victorian or cottage style bedroom or bathroom. It has a towel rail on each side amking it very practical as well as beautiful. 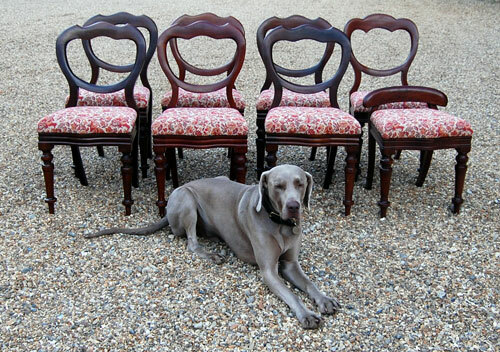 We have this interesting harlequin set of 6 mahogany balloon back chairs dating from c1860's. There is a set of 6 matching Victorian full balloon backs plus one near matching full balloon back plus one unique low back mahogany occassional chair (this one has probably been damaged in the past and then been adapted into the low back chair you see here-it would make an ideal dressing table or paino stool and could double up as an extra dining chair although you would have to remind your dinner guest not to lean back to far. ps The two chairs on the right hand side have been sold seperately so we just have the set of 6 available now. 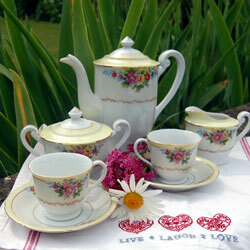 We have a lovely and very pretty vintage ladies bone china teaset new in stock this week. 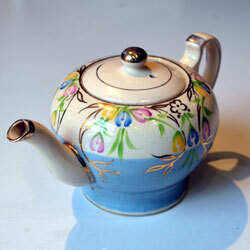 The teaset is for two people and is just perfect for afternoon tea. 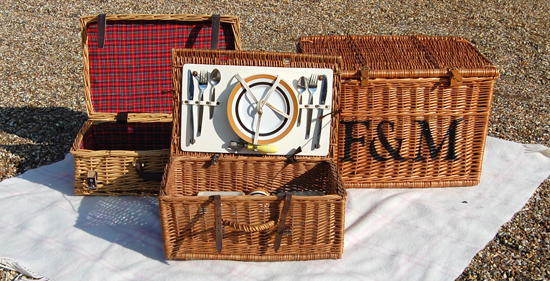 Its picnic time of year again and its time to get your lovely vintage picnic baskets out. The weather has been fantastic this last week, and unsurprisingly we are selling out of vintage picnic baskets very quickly, with another one sold online just this morning. We are no longer at Waterside Antiques centre as we found the travelling from Norfolk to Cambridgeshire each week was very time consuming and expensive in petrol. We have decided to keep to antiques centre in sunny North Norfolk, our home county and to selling vintage & antiques online. 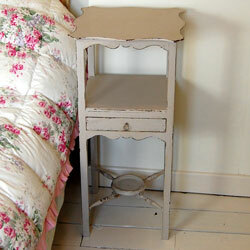 This pretty painted shabby chic antique table now on sale at Timeline Antiques in North Walsham Norfolk. 4 new antique towel horses in stock. 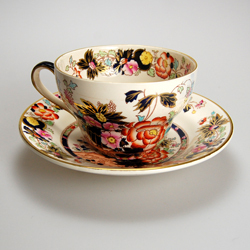 We have some lovely new bone china teacups & saucers in stock this month at Timeline Antiques in North Walsham, Norfolk. 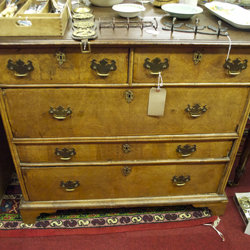 This superb chest of drawers is now on sale at Timeline Antiques in North Walsham Norfolk. Just out of our workshop after having a clean and polish before going on sale at Timeline Antiques Centre North Walsham, Norfolk is this lovely 6ft by 3ft vintage pine table. Quick post to let you know that we have lots of new stock of vintage and antique shabby chic painted furnuiture in coastal colours such as this bedside table shown here, that are easy to pop in the boot of your car and are available to buy from the Timeline Antiques Centre in North Walsham. 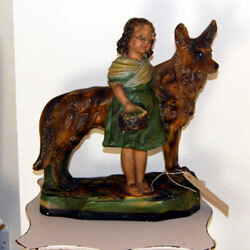 This week we have a very large unsual and striking figurine new in stock of a girl with a large Alsation dog. It appears to be very old & is in good antique condition. It would look great in a shop window or shop display or perhaps a pub or restaurant or as a talking point in a house or entrance way. We have a 10% online discount coupon VA10 active from now until the of November 2013. The coupon can be used as many times as you like when you are spending £25 or more on goods. We have just finished this lovely painted Arts & Crafts dressing chest with mirror made circa 1900 which can be seen at Timeline Antiques Centre, North Walsham. 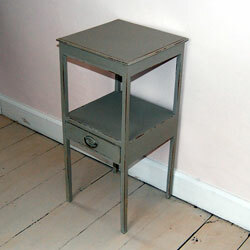 It is painted in Farrow and Ball Pavillion Grey and at just £180 is excellent value for money. Whats on the dresser today ? 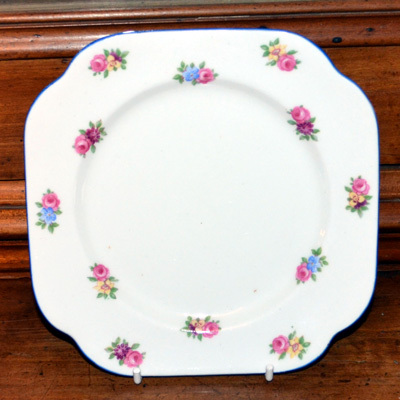 This week we have some lovely vintage & antique cake stands new in stock at Timeline Antiques Centre in North Walsham, Norfolk and amongst them is this very decorative high qaulity large Edwardian cake stand. 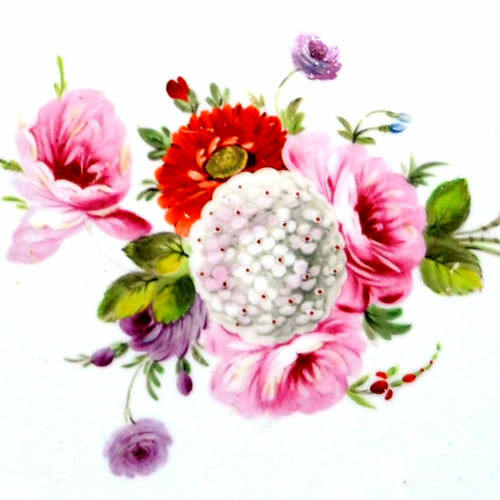 It is ideal for a vintage tea party or wedding and at 10 inches in diameter is large enough to hold a wedding cake or other large celebration cake. 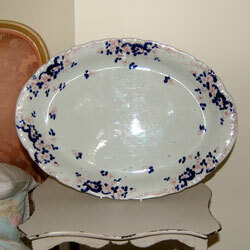 We hope whoever buys this superb large 1897 Empire Porcelain Co meat platter loves it as much as we do. We also hope that they use it as intended and not just for display, as these beautiful pieces of antique china really do dress a table superbly & bring it to life..
We have three of these gorgeous vintage Soooty eggcups available but 2 are slightly damaged (green and blue as shown) so we are initially only offering the red one for sale online, but if you are interested in the other two please do get in touch. Absolutely superb porcelain 1920's Dressing Table Set by Keeling & Co England. Losol Ware Kensington pattern dressing table set with superb detailing in very good vintage condition. 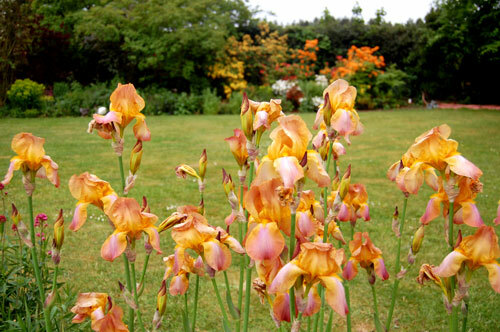 The weather in Norfolk this last 3 weeks has been incredible and we have taken the opportunity to visit the wonderful gardens at East Ruston Old Vicarage in Norfolk. 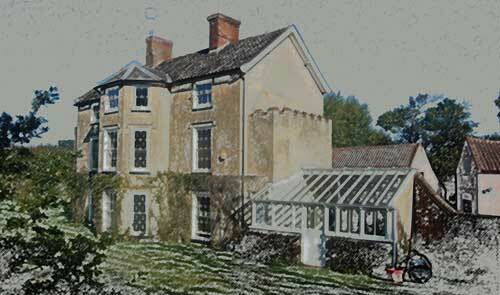 The photo above is one I took of the gorgeous Gardeners cottage. 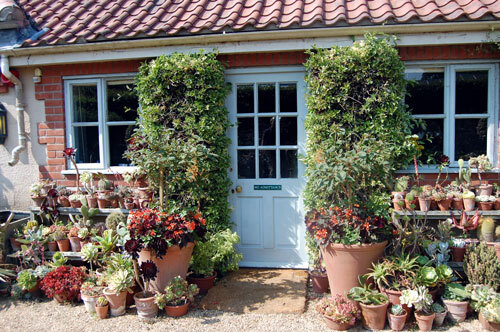 I particularly love the vintage plant pots filled with succulents around the door. 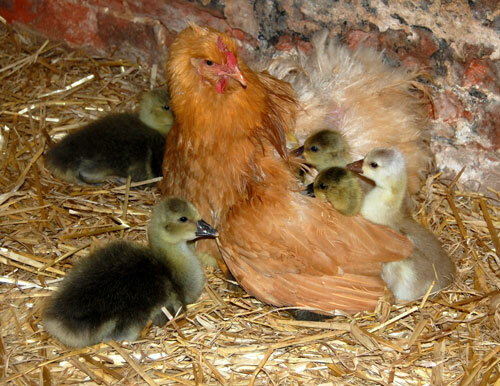 One of our Buff Orpington hens is doing a great job of fostering a mixed group of goslings including Toulouse, American Buff & Crosses, Hiding under her are also a pair of Indian Black runner ducklings she hatched. Her other eggs have been passed to her broody sister to complete the hatch. 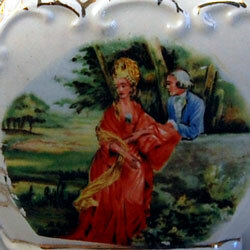 They have their chick crumb from a 19th Century Emile Bourgeois limoge coffee tankard (cracked so unsuitable for sale). Hope they appreciate it ! 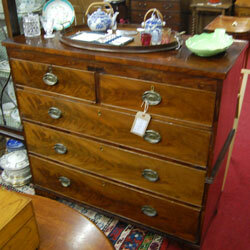 We now have a choice of 2 superb vintage oak dressers in our display at Waterside Antiques Ely. 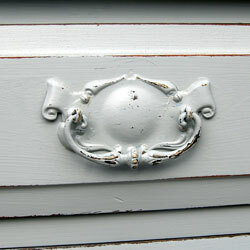 It has been painted in Farrow & Ball shadded white, lightly distressed and waxed. 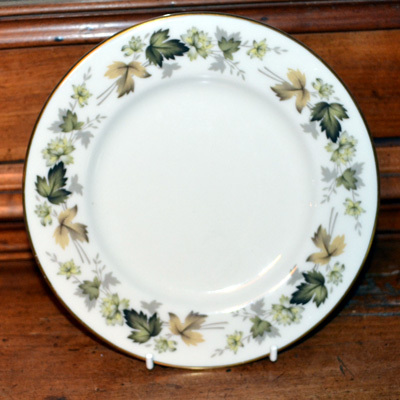 Superb Antique Burgess & Leigh Staffordshire Pale, pastel blue and white 10" plate in the classic Asiatic Pheasant pattern. 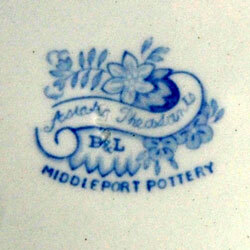 This mark was used from 1889 through to 1919 in their Burslem pottery. 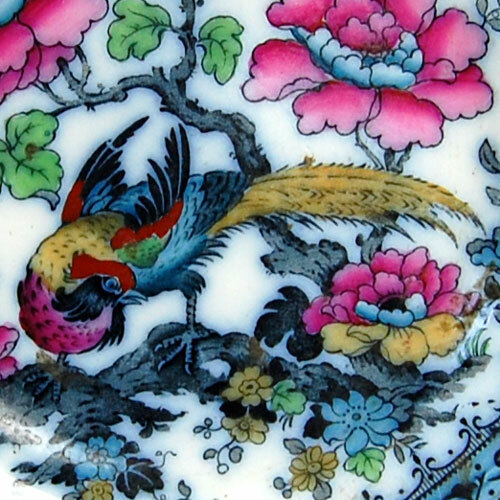 Three similar pieces of staffordhsire china are currently available including an Asiatic Pheasant and Peony in faded pastel blue and white. We now have a gorgeous selection of vintage & antique jewellery, handbags, teacup trios, teapots, caddy spoons & silver in cabinet 12. 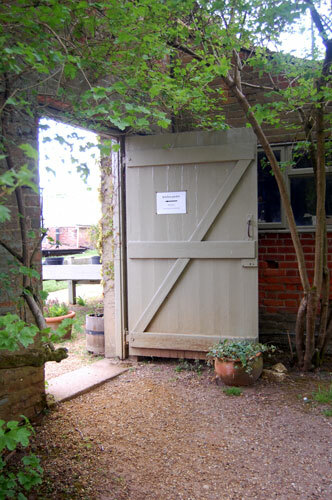 The Shirehall Plain Antiques Centre is located just opposite the wonderful Byfords cafe & deli in the centre of the bustling Georgian town of Holt, just 8 miles from the North Norfolk coast, If you are in Holt pop in and have a peep. Had a really busy week. 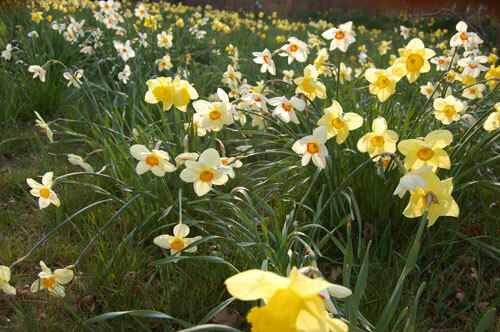 The weather in Norfolk this week has been fantastic so we have been making the most of it. We visited Blickling Hall & saw the wonderful bluebells & Magnolias flowering and we walked the dogs at Overstrand beach, at 8am in the sunshine, and had the whole beach to ourselves. Today the rain came and we were very glad to see it after no rain for the last 4 weeks. The gardeners and the farmers will be very pleased. 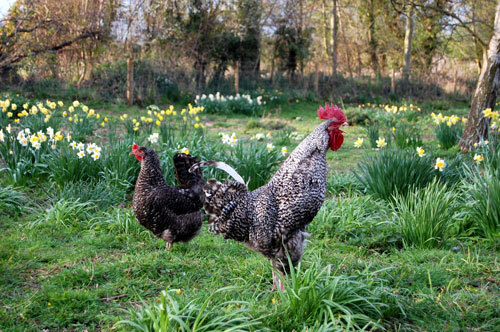 This splendid Cuckoo Maran cockeral is enjoying strutting his stuff in front of the girls. Newly in stock this week iat the Timeline Antiques Centre in North Walsham, Norfolk is this lovely vintage pine farmhouse table in great vintage condition. 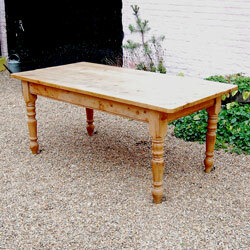 Has been well used and loved over the years and has a lovely warm patina to the table top. 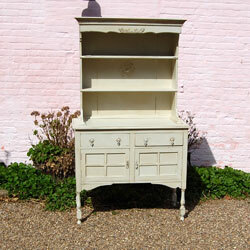 The base has a distressed paint finsih & is painted in an 'off white' colour. We have had a very busy couple of weeks painting some lovely old furniture and giving it the 'vintage farmhouse shabby chic treatment' and are very pleased with the results. Today we took a large amount of gorgeous vintage & antique blue & white china & porcelain, , to unit 32 at Waterside Antiques Centre in Ely. If you are in the area why not pop in and have a look. 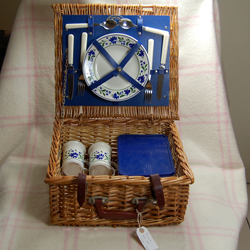 We have lovely blue skies today in Norfolk, if still a little chilly, and we have just sold a lovely large Fortnum & Masons Picnic basket (shown above) via our unit at the Timeline Antiques Centre In North Walsham, Norfolk. 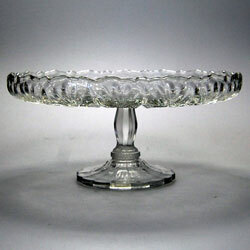 Just listed this very rare and beautiful all original mid 18th century glass & mahogany syllabub stand. 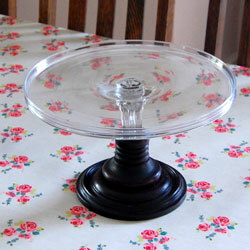 Could also be used as a large cake stand. Would make a lovely wedding gift for an antique lover. Superb original condition. On what must be the coldest 1st day of spring I have ever experienced, we moved our first stock into unit 32 at Waterside Antiques Centre in Ely, Cambridgeshire. The stock includes a vintage french antique bed, a shabby chic antique french mirror, an Edwardian towel rail, two small vintage oak tables, a vintage boat wheel in brass & mahogany, lots of vintage china, some gorgeous vintage curtain tiebacks and lots of other lovely vintage & antique items. 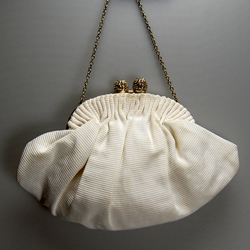 This very pretty vintage white bridal purse with chain handle has this week sold to a bride to be and will soon be wending its way down the aisle once again. 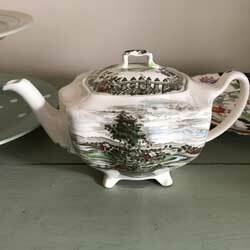 We have a great selection of lovely vintage Colclough Bone china just come into stock including this gorgeous Colclough Hedgerow teapot. 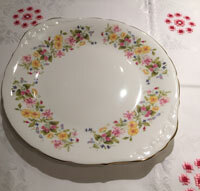 Very pretty and just right for a spring or summer vintage tea party. 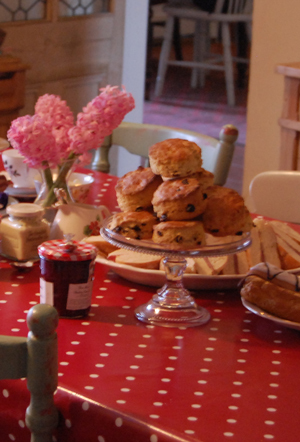 Today we stopped and baked some fruit scones and then set the table with vintage china, for a lovely vintage afternoon tea, with clotted cream & strawberry jam. The weather so far this week in Norfolk has been great, & what good timing, as we have new in stock this week, this gorgeous vintage picnic basket for two. 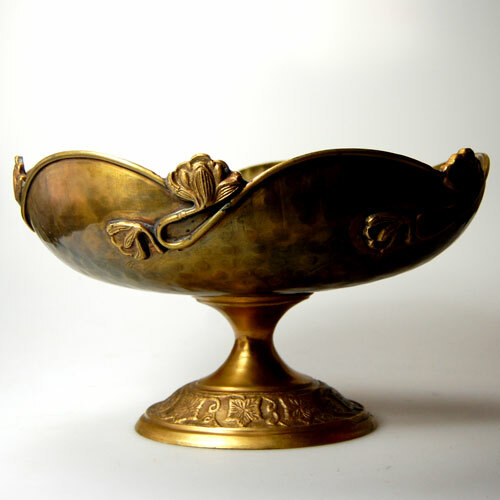 Just acquired this very beautiful, large antique French coffee cup circa 1870. 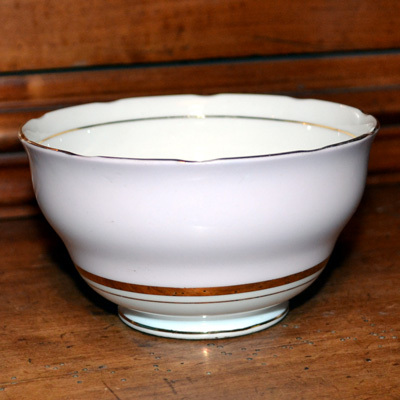 The quality of the porcelain, and the guilding is excuisite. It is incredible to think, it is approx 140 years old, and to wonder at all the people who have used it, during that time. We simply love this fabulous Georgian fine walnut chest of 5 drawers. Circu 1760-1790 with later additions. Oak top (later addition but still old) .Original brass handles and key escutcheons. Would look great in a comfortable country style home, country cottage or farmhouse. 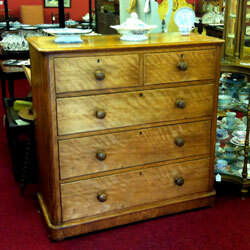 An antique pine dresser makes a lovely piece of furniture in a vintage style kitchen or family room. 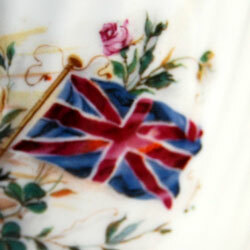 Dress it with vintage and antique china, glasses, candlesticks & bunting as shown here. 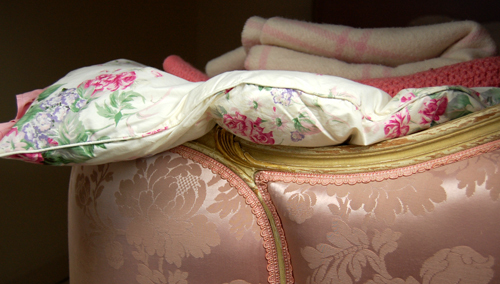 All the china on this dresser is is greens and pinks which is a good colour combination. 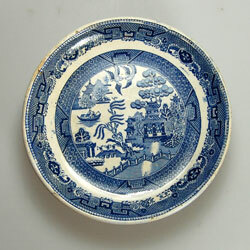 Blue and white china also looks great displayed on a pine dresser. Add cup hooks to increase your stoarge-great for cups or gravy boats as shown here. Store cutlery in large vintage jugs for a relaxed farmhouse feel. Very practical and makes setting the table kids play. For informal meals just plonk the jugs on the table and everyone helps themselves to cutlery. 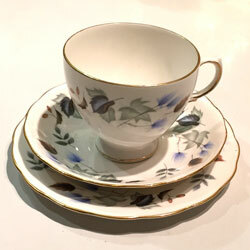 Had a busy day working on the website and have started to add some of the pretty vintage china teacup trios we have in stock to website. 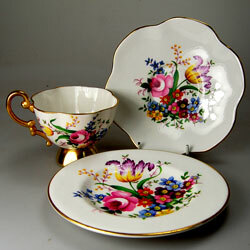 The teacups set shown here is a a particularly pretty one. 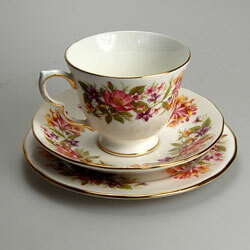 It is English and is a Colclough Hedgerow tea cup, saucer & plate trio in bone china Patt No 8682. If you mix and match the trios they look lovely. We have lots more to add. so keep checking back to see what's new. Please forgive the lack of stock photos on the website. The home page only went live yesterday. 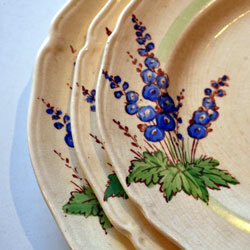 We will be adding more information & photos of our current stock to the new website over the coming weeks. You can not currently purchase online but you will be able to do so shortly. 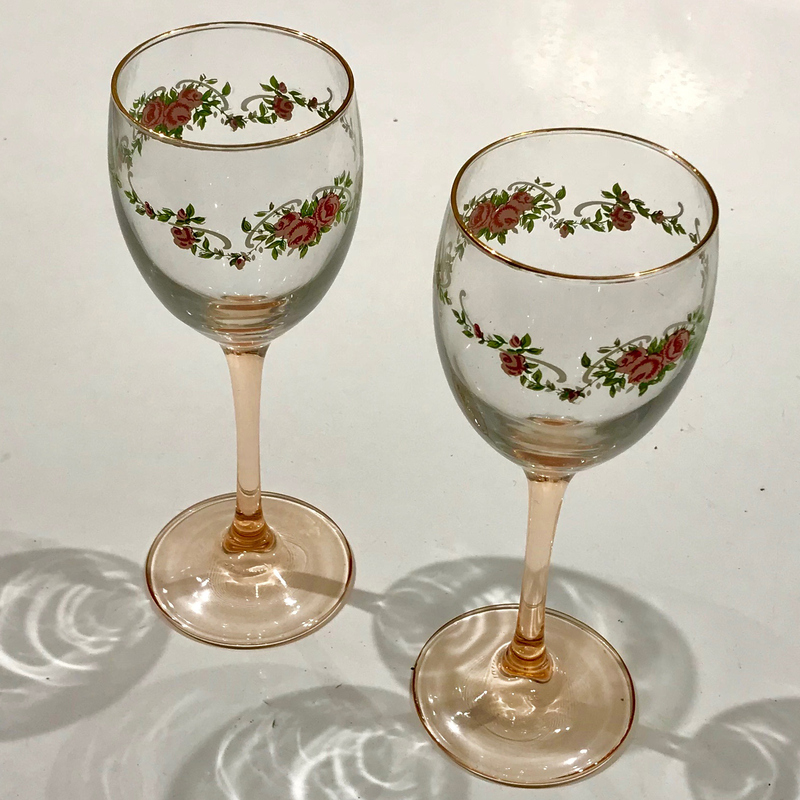 If you are interested in a particular item and would like to view it please e-mail us so that we can make sure it is at the Timeline Antiques Centre for you to see. 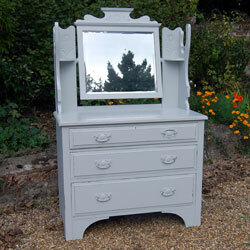 We have just made a large painted antique/ vintage mirror available for sale at the Timeline Antiques centre. We think the mirror is French. 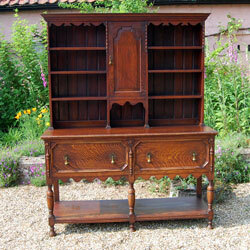 It was originally bought from an antiques dealer in Newark that specialises in French antique furniture. We were going to use it in our own house but it just too large for the space. We will post some picture on the website later in the week and make it available to buy online. 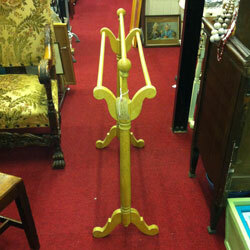 Just sold a gorgeous vintage pine plate rack via our antiques unit at the Timeline Antiques centre. 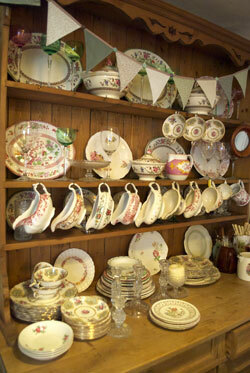 Antique and vintage plate racks look fabulous when full of mix and match vintage plates. 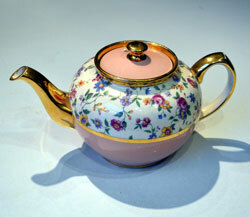 It was recently added to our stock at the antiques centre and did not even make it to the website. Here is a another shabby chic painted plate rack that we dressed in blue and white china for a gorgeous vintage shabby chic style cottage in Blakeney.